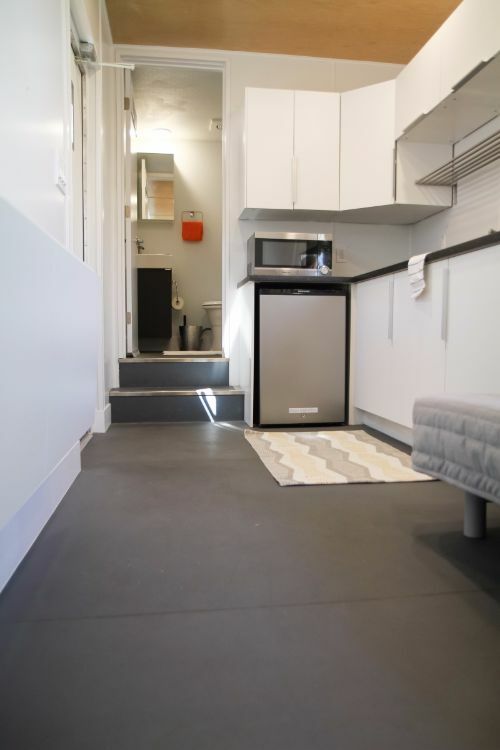 Today's container home tour comes with a healthy dose of social consciousness. 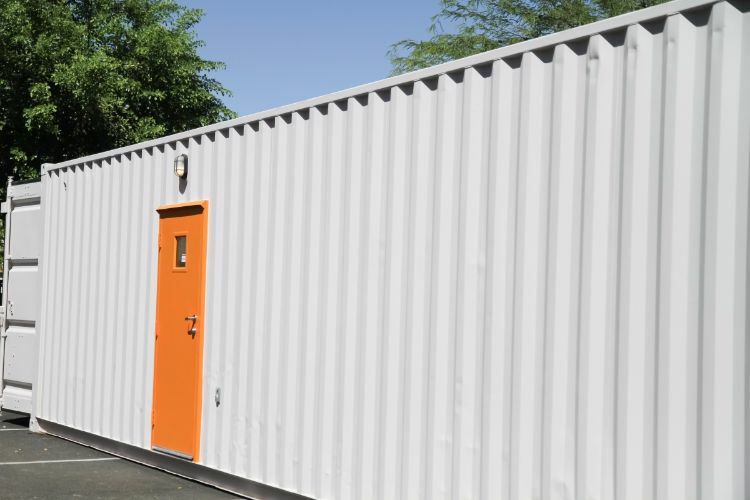 True to its name, the Relief Box was specially developed as a temporary housing solution in the aftermath of a natural disaster. 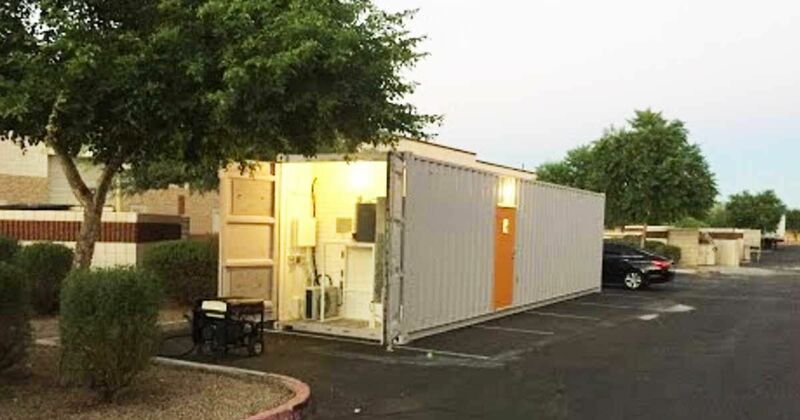 Modern Container Concepts, an Arizona-based construction company, wanted to reduce the stress of these devastating situations by bringing comfort in the midst of the clamor. 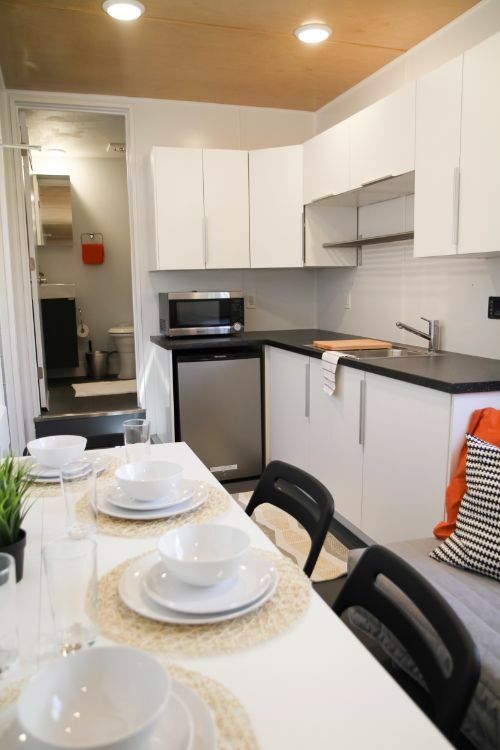 Whether temporary dwellers decide to rent or buy their modular home, they will be impressed by the workmanship in its design. 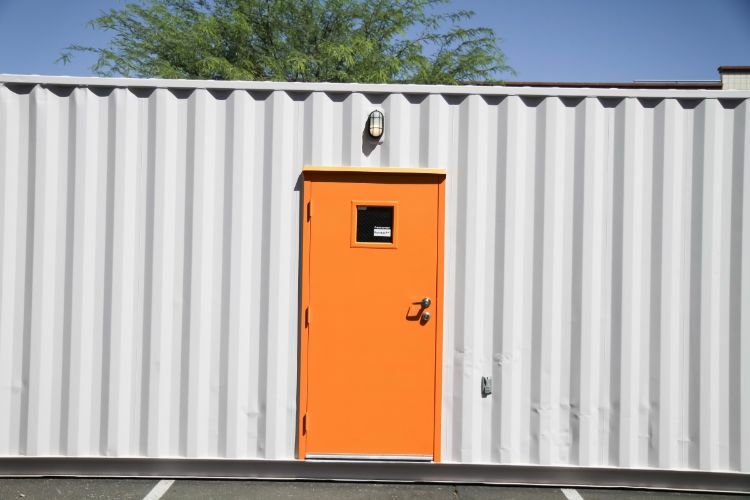 In conventional container house fashion, the steel exteriors consist of a front door and side entrance. Indeed, the exteriors are minimalist by design, choosing to make the main entryway its ornate standout feature. 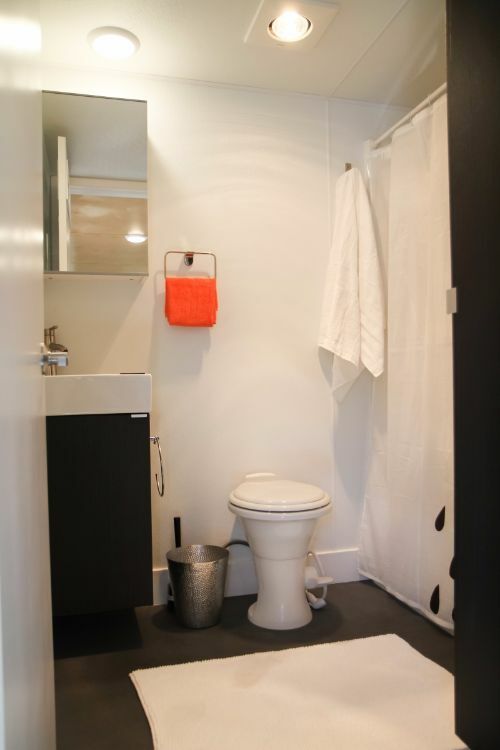 As you enter the Relief Box, you'll be able to see all your essential amenities within reach. In this home, every bit of space counts. The open plan living area and kitchen show a meticulous calculation of how each element fits within its boxed confinements. 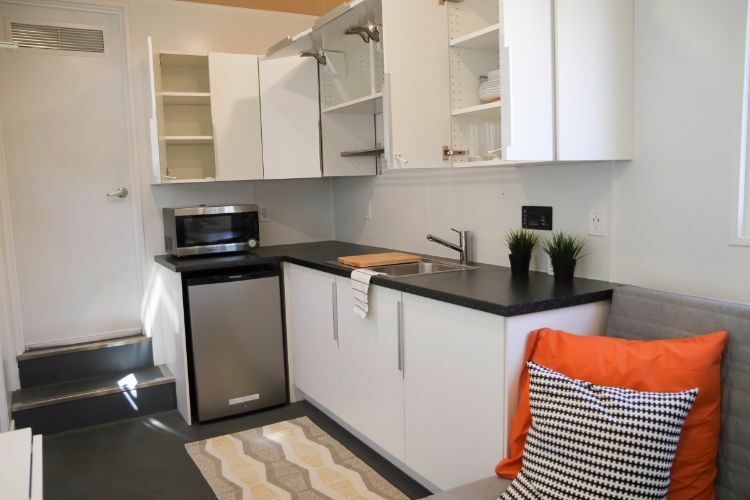 Its functional kitchen comes with various cabinets and stylish countertops. Simple adornments like mini potted plants and a rug make this area cozy and mellow. 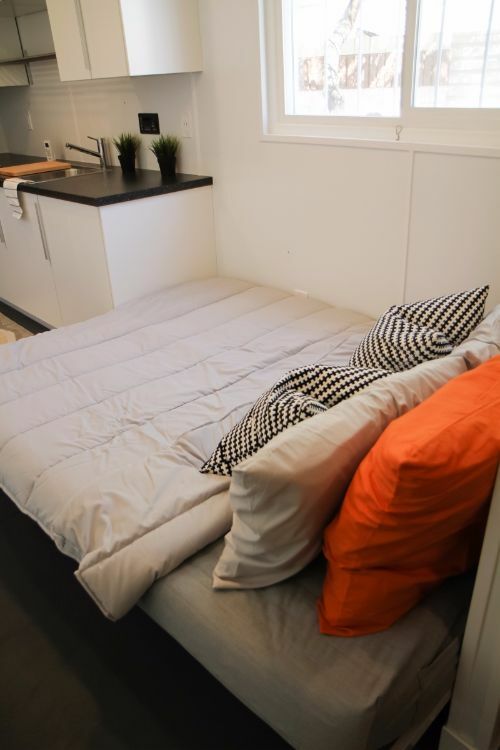 With a futon right on cue, the living area can double-up as an extra sleeping space when needed. The glistening dining table brings a bit of elegance to this Relief Box. 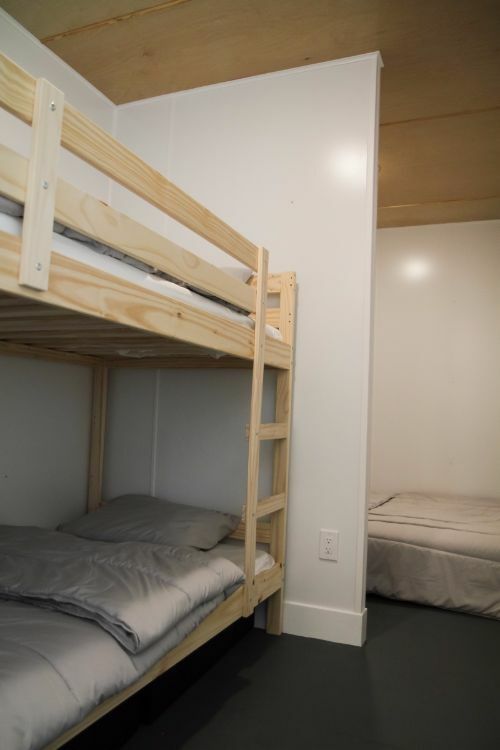 Straight ahead, we encounter the bedrooms - where there is a bunk bed AND a queen-size bed in one single space. Now that's efficiency! 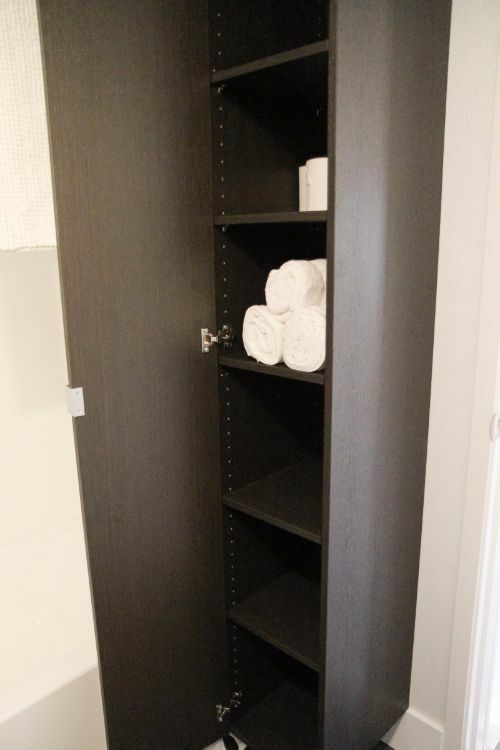 ...it also brings us plenty of storage space for towels and bathroom essentials too. The Relief Box has been composed in a way that will alleviate an alarming housing situation. 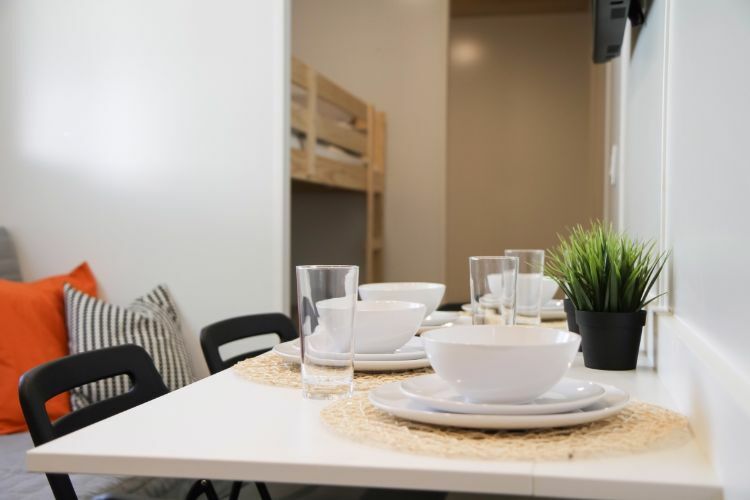 It ingeniously uses every bit of space to provide a comfortable stay and definitely shines through with its care and precision.